The yeti or abominable snowman is a shy, apelike creature that supposedly lives in the mountains. Yeti sightings are most often reported in the Himalayans near Nepal, but twenty-three countries have their own version of this gentle giant. Unlike other “monsters” of its type, scientists and even well-known explorers, such as Sir Edmund Hillary, have taken the yeti reports seriously enough to conduct their own research. Hillary and Tenzing Norgay, a Nepalese Sherpa, saw large footprints while climbing Mount Everest. 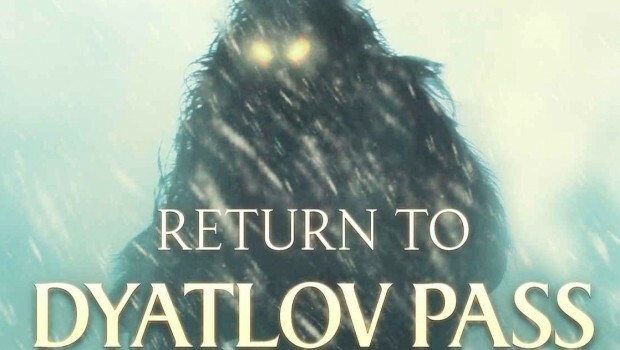 Norgay’s father had reportedly seen the yeti twice, and Norgay himself believed the creature was a large ape, although later in life he became much more skeptical. The U.S. government was convinced of the yeti’s existence, to the point that they came up with a list of rules to follow when the creature was discovered. Yeti hunters had to have a Nepalese permit, not harm the yeti (unless it was necessary to save their own lives), and let the Nepalese government decide how the news of a yeti discovery should be reported. Soon even Hollywood was getting into the act. Actor James Stewart smuggled yeti remains from India back to London in his luggage. This Pangboche Hand was one of the most intriguing objects in the ongoing quest for the yeti, and many years later, NBC’s Unsolved Mysteries was able to have tissue samples from the hand analyzed. The results showed that the Pangboche hand was very close to human tissue, but was not actually human. Unfortunately, the hand has since been stolen. A DNA analysis was performed on samples of hair from an unidentified animal in northern India on the west of the Himalayas, and one from Bhutan. They matched a sample from an ancient polar bear jawbone found in Norway that dates back to between 40,000 and 120,000 years ago. Some people are convinced that the yeti is actually a rare species of bear that spends much of its time in trees and can walk upright. The Asiatic Black Bear leaves a hominoid-appearing track, both in that it is elongated like a human foot but with a “thumb” and in that the four-footed animal’s gait can appear bipedal. What do you think? Do yetis exist, and if so, are they an animal we haven’t discovered yet, or just a really strange bear? Would you want to see a yeti? I think there still are. I don’t believe we’ve discovered everything yet. I saw a documentary recently showing Grizzly beats, I think, walling in a way that lay down one paw print into the mid and then stepped into that same print with the back paw, elongating the print and making it look like a giant humanoid footprint. I find it fascinating that scientists are still looking even though there’s really no substantial evidence. Me? I’m sceptical. An animal that big would find it difficult to leave no, or questionable, traces of itself behind for us to find. But if he is out there, I hour he stays hidden. Being found by Man will only bring him pain. We’re a cruel being. Sad but true, Tee. If the people who’ve found the evidence are to be believed, the yeti has left plenty of traces of itself–feces, bones, skin, hair, footprints, etc. But you’d think a full corpse would turn up sooner or later. Sounds like a great job, Caris. I’d definitely be up for that gig as well! Maybe it is a Bumble. A bear is most likely, although bears are unpredictable and likely to attack. True, Alex, and we don’t hear much about bear attacks in the Himalayans. Maybe it’s a very shy bear? I also saw that episode of Destination Truth that Caris mentioned. It was interesting. I’ve never seen Destination Truth–this is the first I’ve heard of it. I’ll have to check it out. Personally I hope they are never found. Ther is no way some idiot wouldn’t put it in a age as a freaking exhibit or lock it in a lab somewhere to study it. I’m cynical enough to believe that would happen before they were protected. Just look at what happens to all the other species around the world. Let them be a mystery. I agree, Djinnia. While it would be satisfying to have some of these mysteries cleared up, it isn’t worth it. Who knows? There could be many creatures in places like the remote north and the Rocky Mountains that operate under the radar. We’re just one species on this planet. We don’t know everything, that’s for sure. That’s the beauty of life, isn’t it? I would say so, Lisa. I’d like to think there are still things that haven’t been discovered yet. It’s perfect that I found this post today. Yesterday, my preschooler was doing her homework assignment of drawing “Y” words and she decided to draw a yeti. Now I know more about the history! Fun! Oh, perfect Julie! I’m sure she already loves Bumble. Thanks for commenting, and welcome to my blog. Hope to see you back here. I’m a true skeptic when it comes to Yeti. But when you’re a believer, nothing seems to dissuade you from the quest. True. I found it interesting that even highly respected people like Sir Edmund Hillary spent their time searching for the yeti. They must have seen or heard something that convinced them it was worth it. I’m open to the possibility! Have we all seen the platypus? Great blog posts! Can’t wait to see your Z! I haven’t seen a platypus, but I would love to. Good point, though. I’m a sceptic, but open to the possibility. We don’t know everything and we know less than we think. There’s a great children’s book titled Yeti by a French author (unfortunately I found no translation in English) about two children who meet a Yeti and he takes them to his cave, feeds them berries, and then takes them home. This experience helps them connect with their father. (I’m doing this story no justice.) It’s a lovely story. Aw, that sounds like a story I’d love, especially as a child. Thanks for sharing it, Ula. I’m similar to you–sceptical but openminded. They are colorful! It does make sense that it would be a rare species of bear. It would make sense, but it doesn’t explain the samples that don’t match any known creature. The plot thickens…. I like watching the shows where they go and try to find evidence of Yetis and Big Foot. No idea if they exist, but I’m open to it and it would be awesome if we found proof. I agree. It really would be. Exactly, Frank! Long live the yeti! I remember how scared I was the first time “Rudolf” was broadcast and I saw the abdominal snowman! And I remember 10 years later when the Legend of Bogey Creek, that was about Big Foot showed at our local theater. It was sold out and standing room only. And the whole theater would scream together! I find it hard to believe a creature could exist on land and no one have found one or a recently dead body. Thanks for commenting, Barbara. Aww, but Bumble is so cute! I’m sorry you were scared of him. It’s hard for me to be afraid of the abominable snowman. He’s always depicted as adorable and cheerful. If that’s not the prompt for a Yeti spec fic story, I don’t know what is. We like to imagine that unique and interesting creatures exist. I like to imagine that they’re smarter than we think, that’s why they haven’t been captured or killed off, yet. I would NOT want to run into a Yeti or other giant, wild creature! But, it’s fun to imagine stories about them. Agreed. It’ll be a sad day when we’ve discovered everything there is to discover. Thankfully, I don’t think that’ll ever happen. My sister and her husband claimed to have seen a Sasquatch in Montana while on a trip several years ago. It was a fairly convincing account in my book. As a teenager, I spent a summer reading Bigfoot books (including the account in Teddy Roosevelt’s book on hunting) and working in the woods. Talk about every bush and sound being a Bigfoot! The subject has always fascinated me. Oh, I’d love to hear your sister’s story, James. It is more believable when you know the person. I don’t think I’d like to actually see one in the wild. It was bad enough seeing one in movies, like The Legend of Boggy Creek. Yikes! I’d never heard it being referred to as a type of bear, but in my opinion, that sounds the most probable. Hmm..The Legend of Boggy Creek, you say? I forgot that Jimmy Stewart did this..the bad boy. It’s a shame when stuff like this gets stolen but this just shows that, if they do exist, we would find a way to exploit them and some co7ntries would kill them for their feet or something because they would think it would give them more sexual prowess. It would be neat to find out they do exist but I would never want to meet them. Agreed, Birgit. Knowing us, we’d find some way to mess things up. The yetis should stay hidden. I could be convinced that yetis exist. But, you know me… I’d only really believe it when I see it, so, yes, bring it on. Based on the reports of them being “friendly”, I wouldn’t mind meeting one. And, to be honest, if he/she truly is an amazing creature I’d want to protect, I wouldn’t reveal the encounter publicly. In my imagination, yetis look like Chewbacca from Star Wars. I’m a bit of a sceptic when it comes to Yetis. I just fine it so hard to believe that something reported to be so big hasn’t been photographed. A drone would be able to do it, even if it hid when people were around. I could maybe buy into the bear theory though because the people looking for the Yeti might have seen the bear and not connected the two. Perhaps the wooded areas are too dense for drones to penetrate? These yetis have been hiding for a long time. They’ve perfected being invisible in plain sight. mmmmm, I’m on the side of the Yeti’s existence even if s/he hasn’t yet 🙂 been positively identified – Maybe like the Loch Ness monster? One more for Team Yeti!